Allie Finkle is excited when a new girl, who comes all the way from Canada, joins her class at Pine Heights Elementary. Now Allie won’t be the new girl anymore! But her excitement turns to dismay when the new girl, Cheyenne, starts telling everyone in the fourth grade what to do! Soon Cheyenne has everyone, including Allie’s best friends, Caroline, Sophie, and Erica, believing that if they don’t do what she says, they’ll be what Cheyenne accuses them of being - babies! But Allie isn’t sure she’s ready to be all grown-up yet. Not if it means chasing boys at recess, not playing her favorite games anymore, and especially...not being herself! MEG CABOT'S many series and books for adults, teens, and tweens have included multiple #1 New York Times bestsellers and have sold more than fifteen million copies worldwide. Her Princess Diaries series has been published in more than thirty-eight countries and was made into two hit films by Disney. 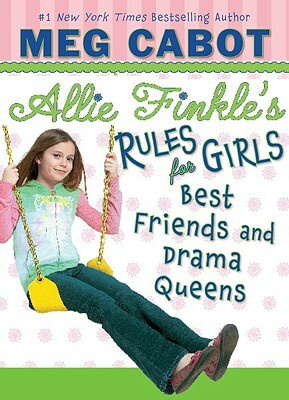 Meg also wrote the New York Times bestselling Mediator, Airhead, Insatiable, and Allie Finkle's Rules for Girls series, as well as the award-winning novels All-American Girl and Avalon High. Meg lives in Key West with her husband and two cats. Visit Meg online at www.megcabot.com.